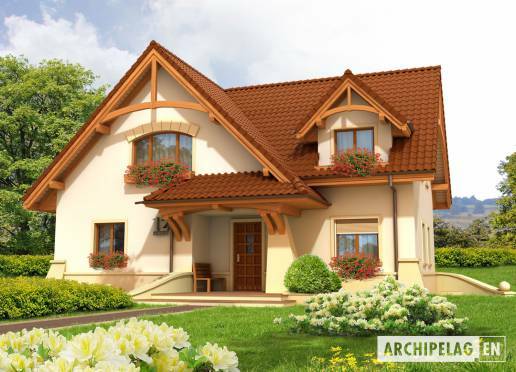 The one storey house with functional attic, without basement, designed for 4-5-person family. Facades made with structural plaster. Woodwork windows.